Denali Park Wolf, photo courtesy of Johnny Johnson. Since the elimination of the buffer zone in 2010, wolf viewing inside Denali National Park has dropped precipitously, from 44% of visitors to the Park reporting wolf sightings in 2010, down to only 4% in 2013 (National Park Service survey of bus tour participants). 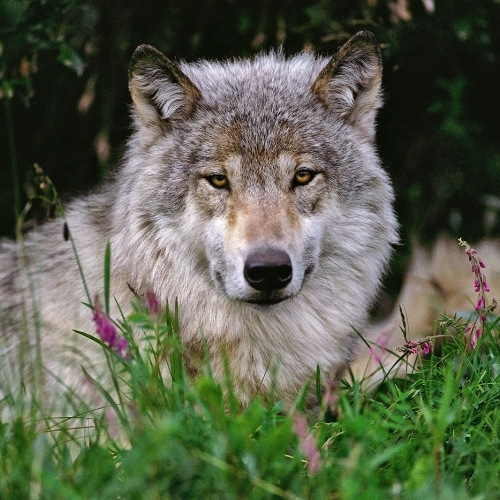 The wolf population in the Park declined from an estimated 143 wolves in 2007 to just 75 in 2018, almost a 50% decrease. Also, one established pack, known as the “Comb Pack” was not seen after March 2018 (click here to see the Denali National Park and Preserve Spring 2018 wolf population estimate map). The Comb Pack’s home range overlapped the area the National Park Service proposed as a buffer zone in 2017. Subsequently, several civil society interests in Alaska (including some signatories to this letter) proposed that the Board of Game and/or the Alaska Department of Fish and Game reestablish a Denali buffer, but all such requests were declined. At the time, citizen petitioners predicted that the continued exposure of Denali wolves to take across the eastern boundary would result in a further drop in the park wolf population and visitor viewing success -­‐ precisely what we now know has occurred. It is apparent, and unfortunate, that current wildlife management authorities in the State of Alaska do not consider sustainability of wildlife viewing at Denali a management goal. But as we have learned, even if one state administration were to establish a buffer, a subsequent administration may remove such. Thus we feel there is clear need for a permanent buffer to sustain and grow the Denali wildlife viewing economy.